Calidez y Tranquilidad.Nuestro apartamento destaca por la sencillez y limpieza de sus blancos, y las increíbles vistas desde su amplio ventanal y balcón. Es un apartamento coqueto, reformado,con capacidad para alojar a 6 personas.Segunda planta de un edificio de tres plantas con escalera. Ubicado en un lugar idóneo por estar cercano a la capital , pero sin el bullicio de la ciudad ni la masificación de turistas. A 10 minutos del aeropuerto y 30 minutos del sur de la isla. Warmth and calm. 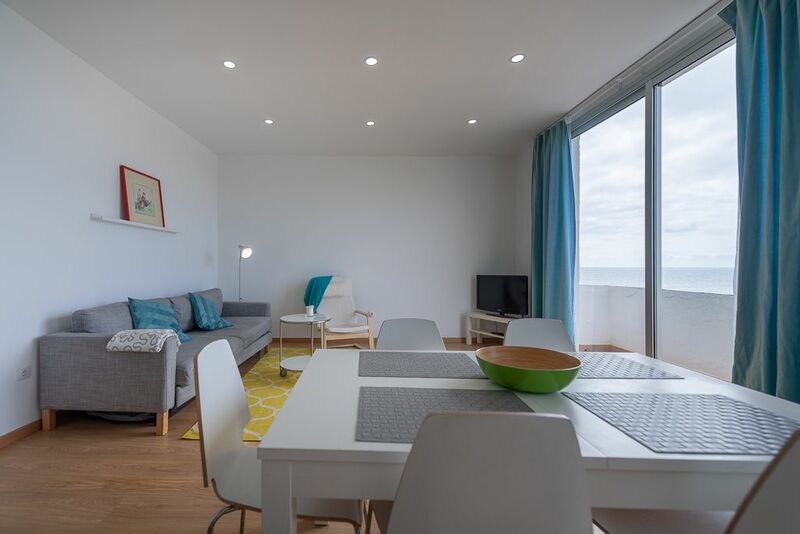 Our apartment stands out for the simplicity and the cleanliness of its whites, and the incredible views from its wide large window and balcony. It is a charming and reformed apartment, with capacity to lodge 6 people. The second floor of a building of three floors with stairs. Located in a suitable place for being near to the capital, but without the noise. Just 10 minutes from the airport and 30 minutes from the south of the island. Ideal location by the beach, very warm welcome, facilities good. Queries sorted out promptly. Paola very kind and helpful. Met Otto the owner who recommended places to visit, was charming and helpful. Offered us a lift to the airport when we left, we found a gem here and will certainly return. All local restaurants good and staff very friendly. Traumhafte Lage des Appartements. Morgens auf dem Balkon sitzen und den Blick auf den Atlantik zusammen mit Morgenkaffee genießen. Nur 10 Minuten vom Flughafen entfernt. Man kann schnell Maspalomas oder Las Palmas erreichen. Nur die Treppe runter und man sitzt schon im Restaurant. Die Wohnung sehr gemütlich, sauber, geräumig. Die Besitzer sehr nett und unkompliziert. Wir haben die Zeit sehr genossen. Die Wohnung würde ich immer weiter empfehlen.